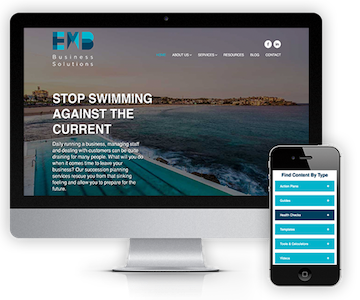 How former experienced business advisors EMB Business Solutions boosted their online marketing with Bizink. “Bizink has certainly opened our eyes to the advantages of using skilled marketing people who are specialized in the financial and accounting space to create and implement marketing strategies for your business. For us in the SME space this has been money well spent. Bizink spends time understanding your business and it’s marketing requirements. The Bizink team are a pleasure to deal with. We are able to get on with our core business while Bizink ensures that the marketing happens in the background with excellent blogs, email blasts etc etc etc!!!! We have found that our brand awareness has substantially increased and a number of interesting conversations have and are taking place with regard to new leads and strategic partnerships. Book a guided tour and see how Bizink helps accountants like you become incredible online.